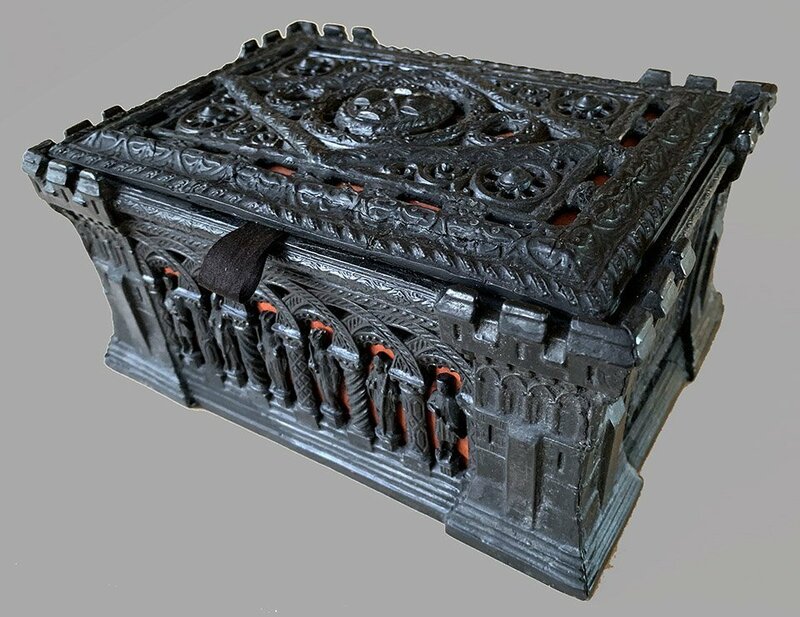 Jaques Carton Pierre Casket #3254. 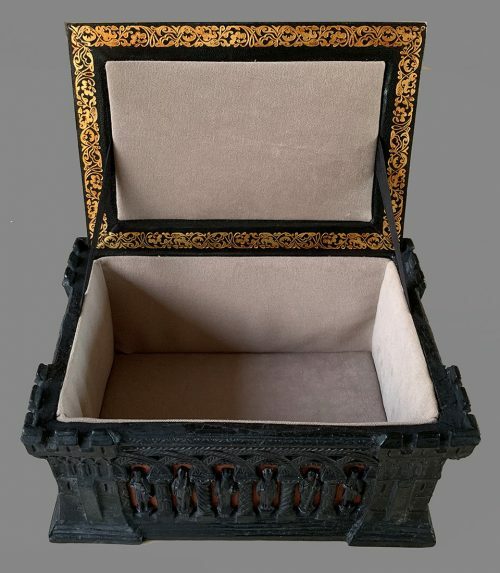 A rare Jaques Carton Pierre Casket designed for Leuchars by Joseph L Williams to house the new Staunton Chessmen introduced by Jaques of London in September of 1849. This professionally restored Neo-Gothic Sarcophagus bears the original red Jaques Manufacturer’s label and the Entered No. 3254, which indicates that the box as made around 1851 or so. 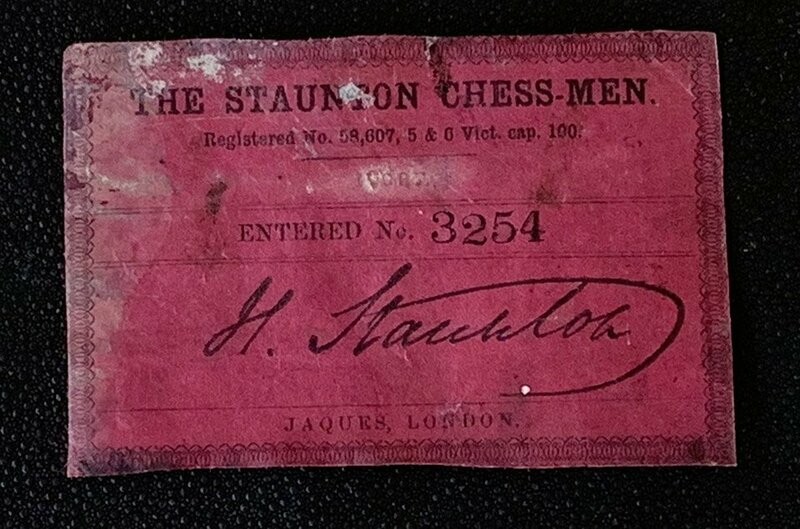 The number 3254 would have been assigned to the 254th set of Ivory Staunton Chessmen of any size sold by Jaques. 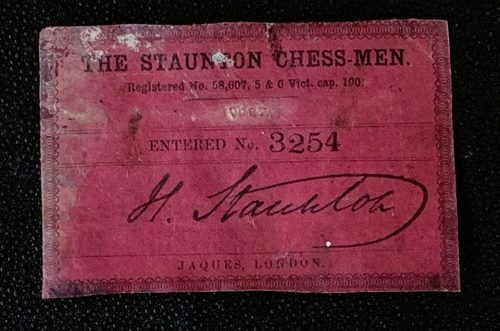 The label’s leading “3” was reserved for the Jaques Red labels and signified that the contents was a set of ivory chessmen. The interior is lined in a white velvet material. 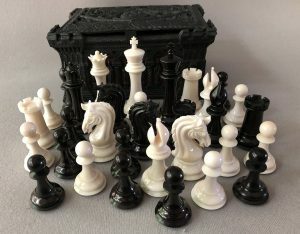 The following article introducing the new Staunton Chessmen and the Carton-Pierre casket appeared in the Illustrated London News in October of 1849. Joseph Williams also designed the Leuchars chessboard’s exterior with carton Pierre decorative work in the Neo-Gothic style. 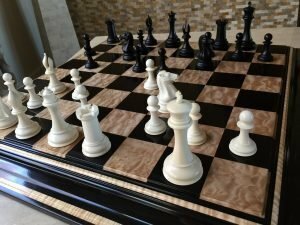 These fine boards were first made by Leuchars of London to compliment the Jaques chess sets. The Carton Pierre board mates with the Carton Pierre casket that housed the new Jaques Staunton chess pieces.